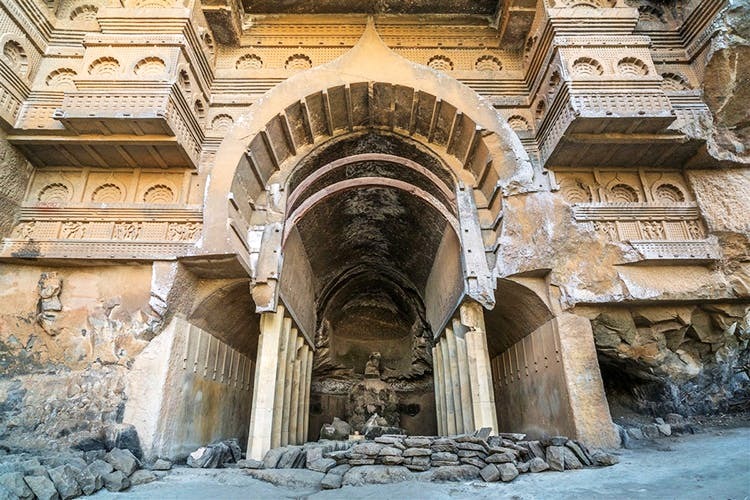 If you've already visited and loved Karla and Bhaja caves in Lonavala, your next destination should be the brilliant Kondana Caves at Kondivade-Thakurwadi village in Raigad District, about 3 hours from Pune. Kondana Caves is a group of 16 rock-cut Buddhist caves and an architectural magnificence that dates back to first century BC. The construction of these caves on wooden patters, underneath a huge mountain is a mindblowing factor. The intricate carvings on the caves are a work of wonder that depict the ancient lifestyle of Buddhist monks. The interiors, although in ruins, consist of vihara, chaitya and stupas with tall pillars, spectacular high ceilings, beautiful inscriptions and quaint cells. Despite being a major tourist spot, Kondana isn't maintained well enough for an overnight halt inside the cave. For the adventure seekers, you can go on the midnight Rajmachi trail that starts from Kondana.